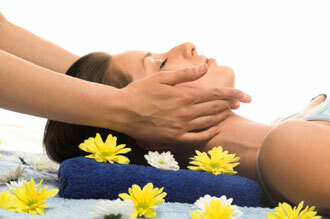 Relax while you enjoy a soothing facial and learn the importance of proper skin care. A Better You facials are not one-size-fits-all. Your skin is unique to you, so our facials are customized and specialized to treat your skin type, which is not just oily, combination or dry. All facials start with a skin analysis. Once your skin type is determined, we will choose the products that best treat your skin at that time. Your skin is constantly changing due to the environment and physical changes. You should not have the same facial every time. All facials consist of cleansing, skin analysis, massage with a deep cleansing oil, steaming with a facial steamer, gentle extractions if needed, exfoliation, and a mask. We recommend that clients not reapply makeup right after their facial if at all possible. Our product lines for skin care consist of The New Generation of Nelly De Vuyst skin care and Skin Therapy Products. Nelly De Vuyst, from Belgium, represents over 40 years of experience in the development and creation of skin care products. Not just moisturizers to mask skin problems, Nelly De Vuyst products are active formulations that treat aging skin, rosacea and acne along with products for the body and a men’s line of skin care products. Skin Therapy products are the result of extensive experience in dermatology patient care. Containing retinol and glycolic acids, Skin Therapy products help to reduce fine lines and premature aging. These products are manufactured in the USA. From darkening the light lashes and brows to covering up the grays, tinting helps to bring out your eyes and frame your face. Tinting lasts 4 to 6 weeks. If you tint on a regular basis it will last a little longer than that. Pricing for lash and brow tinting is $15.00 each, or $25.00 for both in the same visit. For Makeup application for special occasions and Colorescience Mineral Makeup products, we recommend Raspberry Moon Skin Therapy.